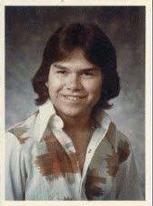 Was transferred to Foothill in 77 but Dean Smith allowed me to graduate with my Muir class. Worked at several places, most notably, several fire seasons with the US Forest Service, office jobs here and there. Kidneys failed in 2011, have been disabled since. JOSE SOTELA updated his profile. View. JOSE SOTELA has a birthday today. JOSE SOTELA changed his profile picture. JOSE SOTELA added a photo to his profile gallery.